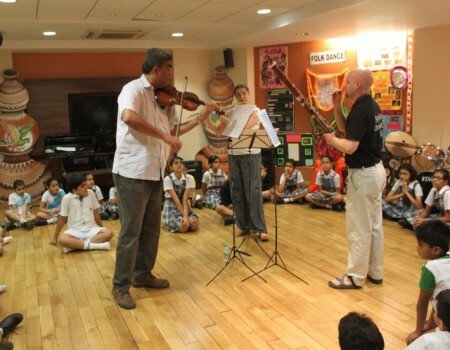 Musicians of the SOI also regularly conduct in-school workshops, introducing the students to music and their instruments, some of which they may never have encountered before. The workshops are aimed at fostering an appreciation of the power of music in the children. Pieces are arranged especially for the workshops and, along with enthusiastic participation from the school staff, as well, music-based games are introduced.